Wildcard. Marie Lu. Science Fiction/Young adult/Fantasy. 2018. 352 pages. 3 stars. He was once the hand that pulled me up. Now I have to be his. And that’s when I realized that, at the end, we’d all wish for the same thing. I loved Warcross. I was in love with it because of the bounty-hunter trope. I liked reading about Emika hunting down someone. It was what made me give book 1 a high rating. I didn’t know what to expect with Wildcard, but I have to admit that it left me torn with how to rate and review it. Firstly, the entire nature of the second book was unfamiliar to me. It dealt with artificial intelligence and the entire shebang. The only AI book I’ve read is Illuminae, thus my knowledge and interest in the technological theme is very… limited. Not to say that I didn’t enjoy Wildcard, I just ended up skimming a heck of a lot of pages due to the lengthy descriptions that failed to capture my attention. Secondly, I was very disconnected from the characters. Unlike Warcross, a lot of characters were no longer given equal time in the spotlight and were put in the sidelines instead. Granted, this is the story of Hideo, Emika, and Zero, but I wanted more of Asher, Roshan, and gang. It’s great that they played the role of caring friends, but I was hoping there was more to their respective roles than just popping up to check on Emika. Despite some aforementioned issues above, I did quite enjoy parts of the book! For instance, how Marie Lu dealt with Emika’s relationship with Hideo and Zero. It felt balanced given the moral weight of the entire story. I liked that. I also loved that plot twist. I really was not expecting it and got goosebumps all over! All in all, I’m glad to have read this duology and to see it wrap up nicely. I would give it a 3-star rating! Not that great, but not entirely bad either. 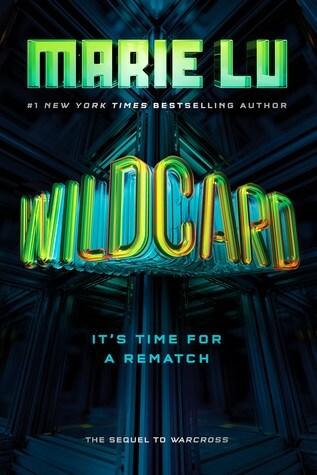 Now it’s time for me to pass my Wildcard copy to my blogging partner, Kyra! 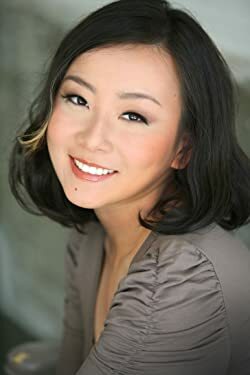 Marie Lu is the author of the highly anticipated Warcross, the #1 New York Times bestselling series The Young Elites, and the blockbuster bestselling Legend Series. Now a full-time writer, she spends her spare time reading, drawing, playing games, and getting stuck in traffic. She is currently living in Los Angeles, California with her husband, one Chihuahua mix, and one Pembroke Welsh corgi. Thank you Nikki for participating!! 💓💓💓 Cheers to more blog tours! Aw, sorry that you didn’t enjoy it as much as Warcross! I can’t wait to get my hands on this one.